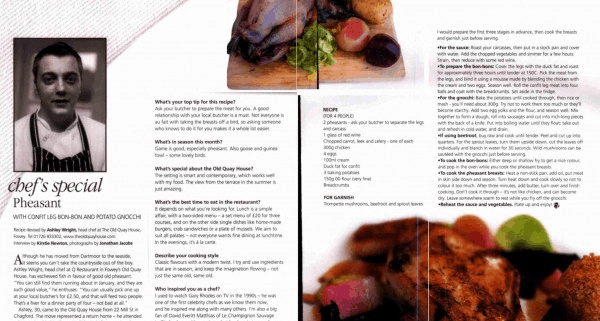 Ashley shares his tips for cooking pheasant in this month’s issue of Cornwall Today…. To sample more of Ashley’s seasonal dishes at Q Restaurant, call us on 01726 833302 to book a table. Or make a weekend of it for a real taste of luxury in Cornwall!